Let’s celebrate the Fourth of July the way our Founding Fathers would have wanted: by ranking the signers of the Declaration of Independence in order of hotness. Our rulings are final, but feel free to complain to us on Twitter and be ignored. Francis Hopkinson designed the first American flag, and all he asked for in return was a “Quarter Cask of the public Wine.” Instead, Congress decided to pay him nothing and keep all of the public wine for themselves. A lot of people know that Thomas Jefferson founded the University of Virginia, but not a lot people know that the school’s charter is written in his blood. James Smith is sick of being praised for his good looks. He wants everyone to know that he is also really good at signing things he hasn’t read. 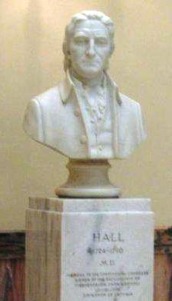 You can find a bust of Lyman Hall in the Georgia State Capitol building. The security guards won’t let you give it gentle kisses though, I’ve learned. If you you have a crush on Arthur Middleton then I recommend visiting his house, Middleton Place, for a “Wednesday Wine Stroll,” when you’ll have the opportunity to spill a glass of wine on some of his furniture. Thomas Lynch Jr. was the only woman to sign the Declaration of Independence. Francis Lightfoot Lee earned the name “Lightfoot” because he was an accomplished cat burgler. He is credited with stealing the British army’s hardtack supply, which he used as bricks to build the Washington Monument. Next time you’re in DC, take a nibble of the monument and think of Francis Lightfoot Lee! Richard Stockton was the only signer of the Declaration of Independence who later recanted and swore allegiance to the British. The other signers just didn’t realize this was an option. Benjamin Rush went on to found Dickinson College, to his eternal shame. Matthew Thorton’s gravestone reads simply “An Honest Man.” Which is exactly what a dishonest man would put on his gravestone if THAT’S WHERE HE WAS HIDING HIS TREASURE. George Ross is our only Founding Father who is a vampire. To this day he represents the great state of Vermont in the U.S. Senate. Did you know that Supreme Court Justices could be impeached? Neither did Samuel Chase! Later in his career, Edward Rutledge created Hilton Head Island by dumping tons of used shell casings from the war into the ocean and covering them with topsoil and beach resorts. Richard Henry Lee was the delegate who first proposed declaring independence from Great Britain. He meant it as a joke, but then things got carried away. Whoops! George Read voted against declaring independence from Britain. He signed the Declaration of Independence anyway though, because he was trying to get his name out there. Oliver Wolcott knew that “Independence” was misspelled in the Declaration, but he didn’t say anything because he didn’t want to embarrass Thomas Jefferson in front of everyone. North Carolina delegate William Hooper had a vertical jump of 41.5 inches. Lighten up, William Floyd—you’re having your portrait painted! Benjamin Franklin is credited with inventing bifocals, the rocking chair, the non-rocking chair, hail, mail fraud, Esperanto, cold fusion (faked), Hello Kitty®, lying about one’s age, the Philly cheesesteak, and Hotmail. The word “gerrymandering” was coined after Elbridge Gerry redrew one of the Massachusetts election districts in the shape of a salamander. All because he wanted a salamander to be elected to the state senate. Contrary to what you might think, Samuel Adams’ preferred beverage was a glass of white wine with ten ice cubes in it. I get that coming up with baby names is hard, but come on. Robert Treat Paine coined the phrase “there’s a bee in my bonnet!” It was because he had a bee in his bonnet. John Morton was the scion of the ancient Morton Salt dynasty. To this day he is still pictured on the packaging holding an umbrella. The British captured both of Abraham Clark’s sons during the Revolutionary War and then offered to release them if Clark would recant his support for the Declaration of Independence. The joke was on them though, because Abraham Clark never especially liked his sons. John Hart never left his Princeton townhouse, which he kept in perpetual pitch darkness. No one ever saw his face, and this portrait is a composite based on George Washington’s description of his character. There was this whole drama going on at the Continental Congress between Caesar Rodney and George Read and Thomas McKean—I won’t get into it, but trust me, it was like a soap opera. A boring, boring soap opera. Thomas McKean was never seen without his gold-headed cane, which he used for whacking George Read upside his head. While competing for the affections of Martha Washington (née Dandridge), Thomas Stone started a rumor that George Washington’s teeth were made out of wood. In fact, they were made out of human bone. George Clymer was the only Rastafarian signer of the Declaration of Independence. Samuel Hopkins should have considered the possibility that the signers of the Declaration of Independence might someday be ranked in order of hotness before he decided to wear this hat. If you thought this was just an unflattering portrait of George Washington, you’re wrong. It’s Joseph Hewes! It’s a little-known fact that George Washington didn’t sign the Declaration of Independence, because he hadn’t been born yet. Thomas Heyward Jr. popularized “duckface” selfies, although they were actually the invention of his personal secretary, a duck. George Taylor insisted on being depicted only in profile, on his “good side.” Taylor’s left-hand “bad side” featured shimmering green scales, a glowing red eye and a curved, serrated tusk. James Wilson made those eyeglasses himself! Charles Carroll of Carrollton always signed “of Carrollton” after his name, because he was a jerk. Throughout his career, George Walton and fellow signer Button Gwinnett were embroiled in fierce competition for control of the state of Georgia. Obviously neither of them had ever actually been to Georgia. Roger Sherman is known for proposing the famous “Connecticut Compromise,” by which the members of the Constitutional Convention all agreed to move to Connecticut once they got married and had kids. George Wythe was poisoned by his grand-nephew. His grand-nephew was never prosecuted though, because in the years before Social Security, it was legal to poison your elderly relatives. The other founding fathers got so sick of William Whipple always trying to get them to try yoga. Thomas Nelson Jr. had two glass eyes, but mysteriously he was able to read books, play cards and win duels without any apparent difficulty. Carter Braxton owned the largest crabgrass plantation in Virginia, which ultimately failed after crabgrass wine fell out of fashion with early colonists. Philip Livingston made a lot of enemies during his long political career, and I guess one of them painted this portrait. Francis Lewis thinks you should get back to work and stop goofing around on the internet. Robert Morris personally paid for 80% of the bullets used by the Revolutionary army. That’s like 25 bullets! Your high school history textbook probably conveniently forgot to mention this, but John Adams was an early adherent of the philosophies of Karl Marx. Did you know that Georgia sent a delegate named “Button” to sign the Declaration of Independence? This is why we can’t invite Georgia anywhere nice. Josiah Bartlett eventually became Chief Justice of the New Hampshire Supreme Court, even though he was a doctor with no legal experience. His first ruling required that Americans pay twice as much for health care than people in other developed countries. And here we are! Fun fact: Reese Witherspoon is a direct descendent of John Witherspoon! She is his daughter. William Ellery was a prosperous merchant until, on the last day of the nineteeth century, he spontaeneously combusted at the stroke of midnight and was consumed entirely.